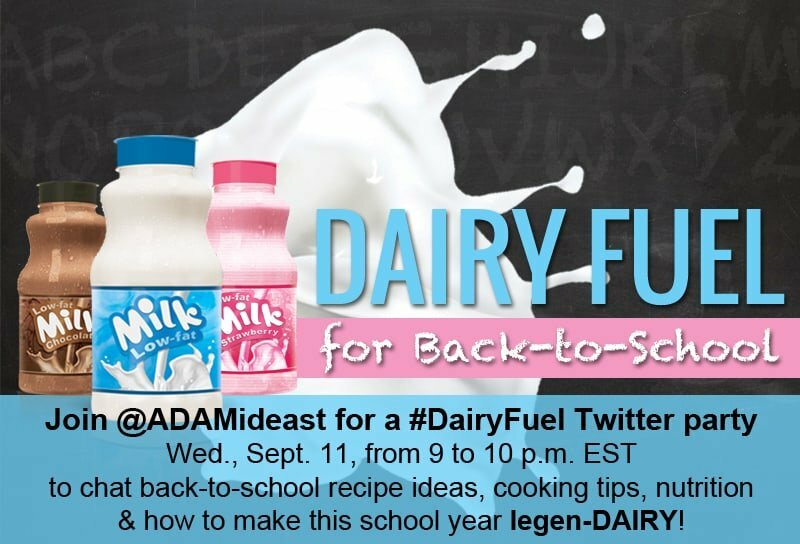 This month I am teaming up with the American Dairy Association to create a delicious Back to School Dairy Fuel recipe! This delicious Pumpkin Pie Dip is made with Greek Yogurt and perfect in lunchboxes or as an after school snack! So, I’ve finally progressed to only making two lunches a day, since my older two now make their own. My kids aren’t huge fans of buying lunch at school, so it’s important in our house to have a variety of choices when making lunch. Soups and sandwiches are always a hit. But sometimes, cheese and crackers are the lunch choice. 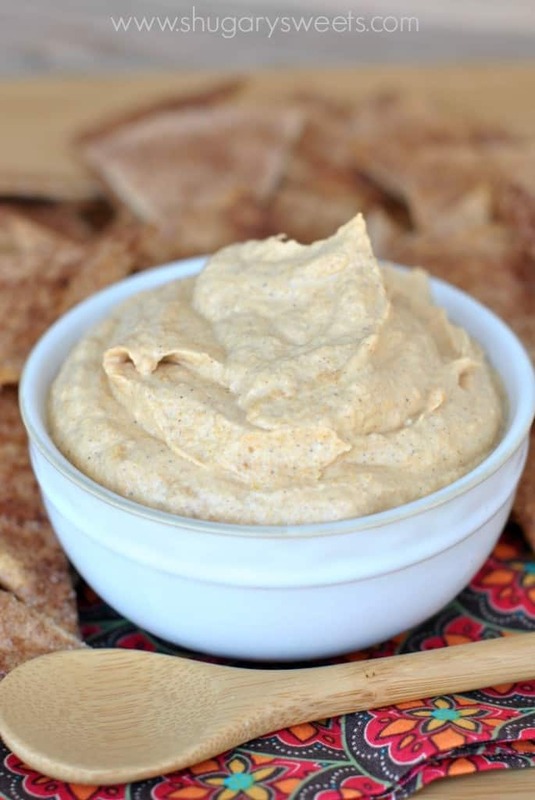 I’m always trying to give them something new, and this week, pumpkin pie dip was a big hit! Not only is the dip filled with all that delicious, vitamin packed Pumpkin, but it’s also made with Greek Yogurt! I love using Greek Yogurt in recipes, it adds a tasty kick of protein! In today’s dip, I used Vanilla Greek Yogurt, but you can substitute plain if that’s all you have on hand! We ate our dip with pretzels and apple slices. I also baked up some healthier cinnamon/sugar chips! This dip was not only a great after school snack, but it served well in their lunches too! Come September, I’m sure you are noticing me breaking out the pumpkin (here on the blog and on instagram)! It’s no surprise to my kids either that I go a little pumpkin crazy! But I didn’t hear anyone complaining about this dip! It’s also the perfect snack to serve on Thanksgiving (or even Black Friday as you’re scouring the sale ads)! Milk is the single greatest source of three of the four nutrients the Dietary Guidelines identified as lacking in the American diet – calcium, vitamin D and potassium. Experts recommend three servings of low fat or fat-free dairy foods every day, yet most of us need to add one daily serving of nutrient-rich dairy to help meet recommendations. Enjoying healthy dairy snacks between meals can help you reach three servings of dairy foods every day, keep hunger in-check and stay energized throughout the day. Together, milk, cheese and yogurt provide a unique nutrient package of nine essential nutrients that help Americans improve overall diet quality. Basically, I think they are saying, EAT YOUR PUMPKIN PIE DIP, it’s good for you! 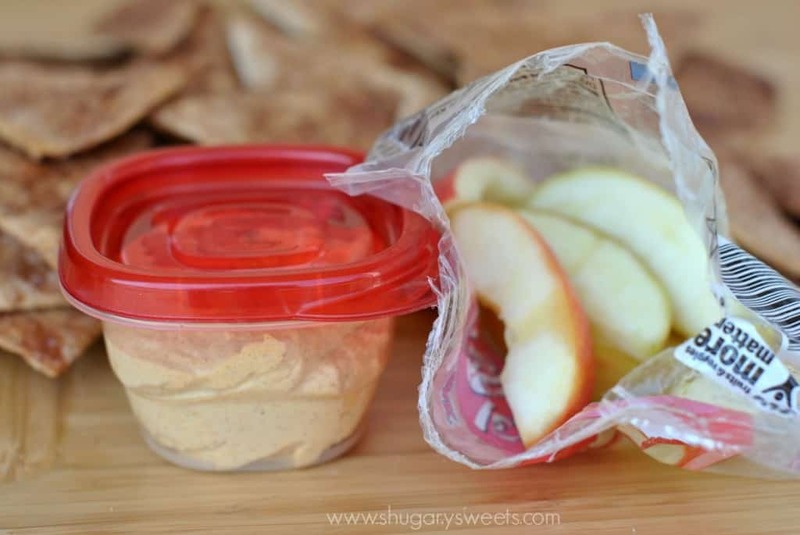 They also might encourage you to check out this list of 33 Healthy Snacks! For the dip, whisk yogurt with sugar and pumpkin until combined. Add in seasonings. Fold in Cool Whip and refrigerate dip for at least one hour to allow flavors to mingle. Serve cold! For the chips, brush butter on each tortilla and sprinkle with cinnamon sugar mixture. Stack until all tortillas have been buttered then cut into wedges. Bake tortilla wedges in single layer on a cookie sheet in a 350 degree oven for 12-14 minutes. Cool and enjoy. Store in an airtight container for up to 2 days. **NOTE: for the chips, you can cut the fat by brushing the chips with water then sprinkling on the sugar/cinnamon mixture. Bake as directed. I prefer to bake my chips closer to the 14 minutes to make sure they are nice and crispy (not chewy)! 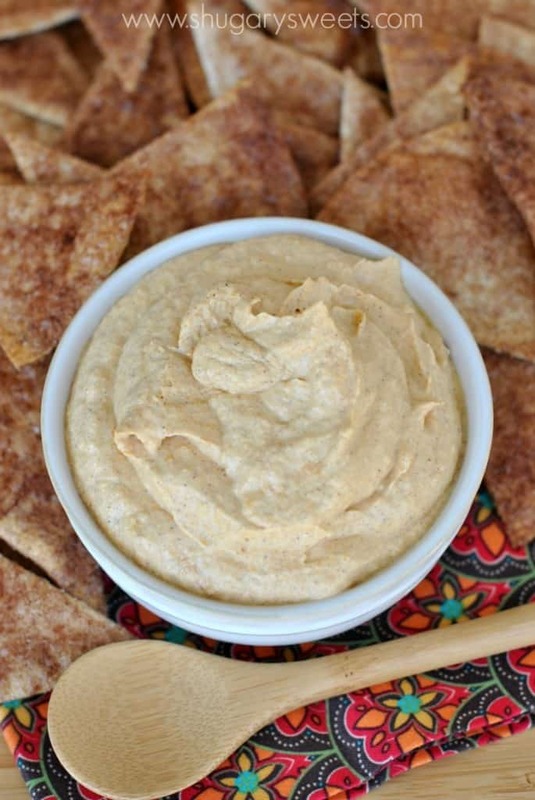 Love this dip made with Greek Yogurt? 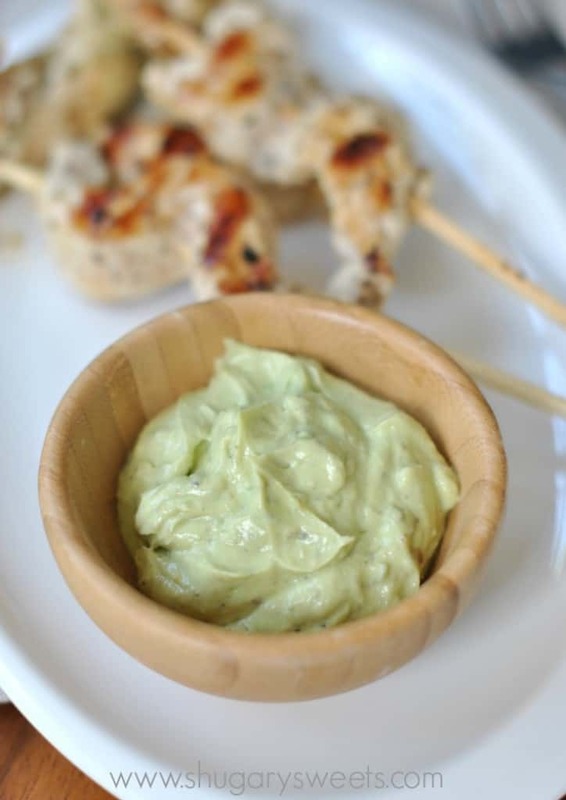 You may also enjoy this delicious Avocado Tzatziki! Perfectly paired with Greek Chicken Kabobs! Pumpkin Cheesecake Cake: this is a must try! I almost made this exact dip yesterday, that would have been funny. 🙂 LOVE it! I wish I could trust Jordan to make her own lunch. Even when she wants to “help” I have to double check there aren’t two treats going in! YUM! I could snack on something like this any day! I think I’ll listen to the Dairy Association and stick my face in this! The dip looks amazing by itself, but with the chips? OMGYUM. This sounds perfect for a snack afterwork! Or my lunch. Whatever. Just need this amazing dip! This is the best thing I’ve seen recently! 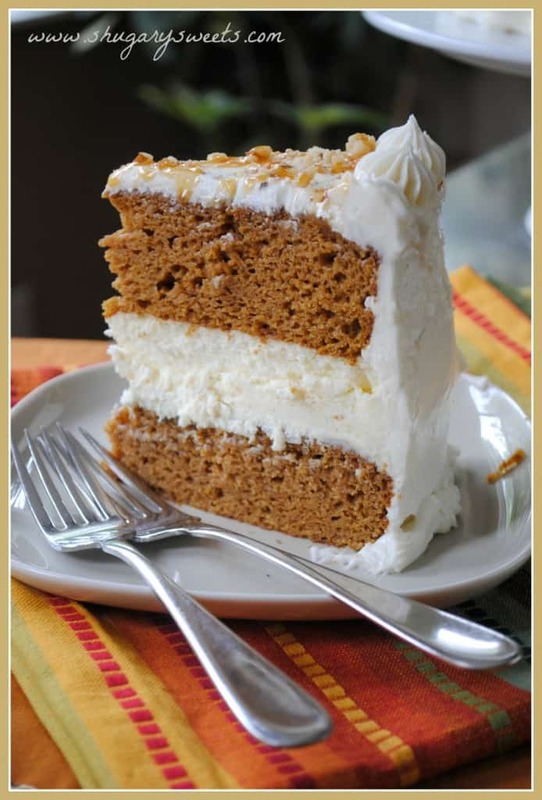 With all that pumpkin and minimal amount of sugar and the added texture from the Cool Whip – absolutely perfect! 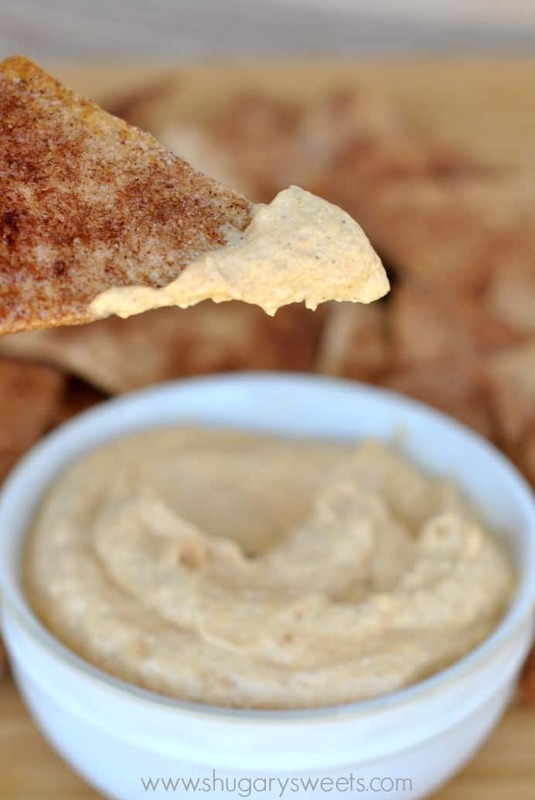 (And those cinnamon chips look incredible with the dip) Pinned! Forget the kids school lunches…I would eat that entire bowl of dip in 3.9 seconds! Love me some pumpkin and dairy!!! I am so excited for all the new pumpkin recipes that are popping up, including this one! I could eat the dip as my lunch (and nothing else). Super yum! Yum, yum, yum! I could eat the crap outta this dip. This dip looks and sounds magical! I want to dip everything into it. 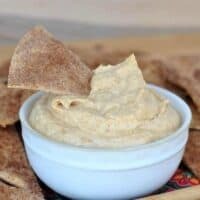 I love making healthier dips like this to have in the house for snacking purposes. I’m sure this would make a great lunch box treat, too! I will eat just about anything with pumpkin and Greek yogurt in it! Perfect afternoon snack! This sounds so good! Oh I make something like this all the time for breakfast! Minus the Cool Whip and chips and add oatmeal. I love pumpkin and can’t wait for all the fall baking! I wish someone would pack pumpkin pie dip in my lunchbox! That sounds amazing! Aimee, I am so glad to have found your blog and connected with you! You have some fantastic recipes here. Coincidentally, I also lived in Cincinnati a few years back and went there for grad school. Thanks for stopping by Nik! 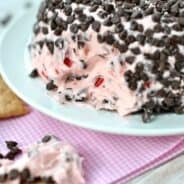 Enjoy the recipes! I am sitting here thinking of all kinds of things I can dip into this! This would even be great to have as an appetizer for Thanksgivig or a fall party! I wish I was headed back to school so I could bring this with me! 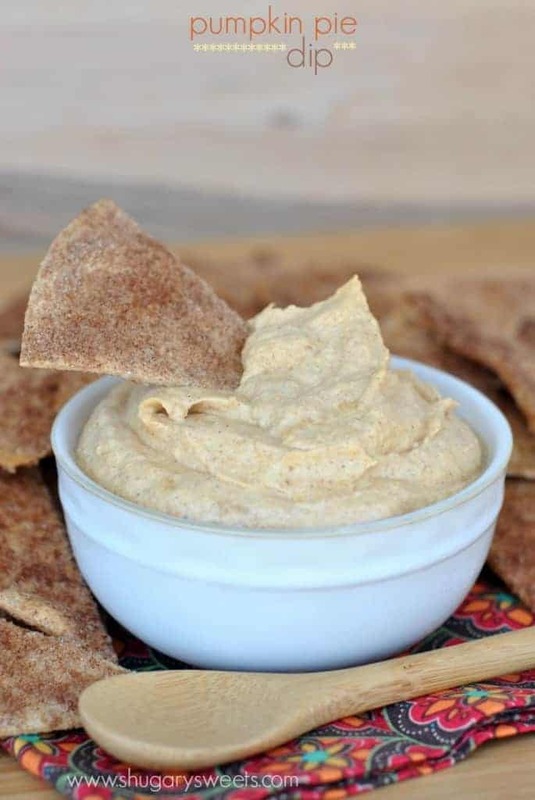 Though maybe I’ll bring it to work as a nice snack…how can I say no to pumpkin pie dip that is good for me?! 😀 YAY for yummy dairy! And pumpkin everything! Enjoy the recipe! I’ve been eating pumpkin for about 2 weeks now, I’m trying to restrain from posting pumpkin recipes every day!! ha! I would just eat this dip all day long.. pumpkin season is the best! Yeah, I pretty much did eat the dip all day long 🙂 I love pumpkin season too!! 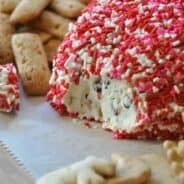 I am all over this dairy-licous dip! Aaaahh! I love Pumpkin Season! This dip and those chips look perfect! This looks so good! I love pumpkin anything! This dip looks incredible 🙂 I am so excited for everything pumpkin! Loving this!! Definitely need to make it for a good apple spread! Yum! This sounds delicious! I wouldn’t have thought of mixing pumpkin with Greek yogurt but what a great idea. Thanks for sharing! Thanks Kristen, it keeps the dip a little “lighter” using the yogurt. Right?? hehe. This is definitely my kind of dip! I won’t be having dinner tonight – I’ll be faceplanting myself in this dip instead! I love those tortilla chips! My Mom made those around xmas time, but its a fabulous idea to have with Pumpkin Dip too! This looks and sounds delicious! I’ve been looking for more ways to add greek yogurt to my diet, and pumpkin is always a win for me 🙂 Thanks for sharing the recipe, I’m going to make some this week. I found your blog via Premeditated Leftovers. Making this for my Bunco crew tonight. Incredibly easy!! I cannot wait to dig into this tonight!! Awesome recipe! Great! So glad you loved it, hope your friends do too! I’ve made the pumpkin dip twice already. 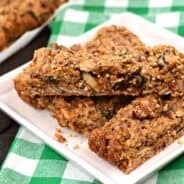 Healthy and popular treat to take to parties and family gatherings. Everybody loves it!!! That’s so great to hear! thanks for letting me know! What is the serving size and how many calories each? I made this with fat free vanilla Greek yogurt and light Cool Whip. Delicious!